Las Vegas is full of surprises. After BlogPaws we headed west to Bonnie Springs Ranch. Georgi and Mia beat us there and had spent the night in the fabulous motel. Red Rock Canyon is where it is and what it looks like around there. Red and rocky. When you have a capybara, sometimes the bedspread ends up on top of the bed, away from the TEETH. Fortunately, the priceless wall decorations were well above Mia-Mouth level. The motel terrace was perfect for Mia, and the x-pen even adjusted to give her a tiny grazing area! Stacey and Andrew volunteer at the petting zoo at Bonnie Springs so we walked over to check it out. They have a nice big pond. Sorry, Mia, no capybaras! Mia had been frightened by the bizarre night sounds. Now that she sees the peafowl, she feels a little silly. They are noisy but friendly and curious. The zoo staff was captivated by little Mia. She expects to be the focus of our attention, now. Capybara visitors are not allowed in the zoo. I guess that’s pretty typical. It’s capybara treat time, anyway. Wouldn’t want to miss that! The petting zoo is small and casual and the animals are friendly. The animals are as curious about us as we are of them. Prairie Dogs are funny. Or is fat the word I was looking for? Some animals are curious, some shy, some are both. Chickens and ducks wander everywhere. A couple deer wander through the exhibit area, checking on their friends. The pens are large and the animals are everywhere. Even the spider webs are interesting at Bonnie Springs Zoo. Next time I go to Las Vegas, I’m going to stay at Bonnie Springs and check out the rest of their fun stuff. The drive back to Las Vegas was studded with photogenic donkeys. Don’t worry, I’ll be back! Don’t feed the donkeys! Even though you really want to. What a cutie Mia is. It never ceases to amaze me how ‘pet friendly’ the USA is. 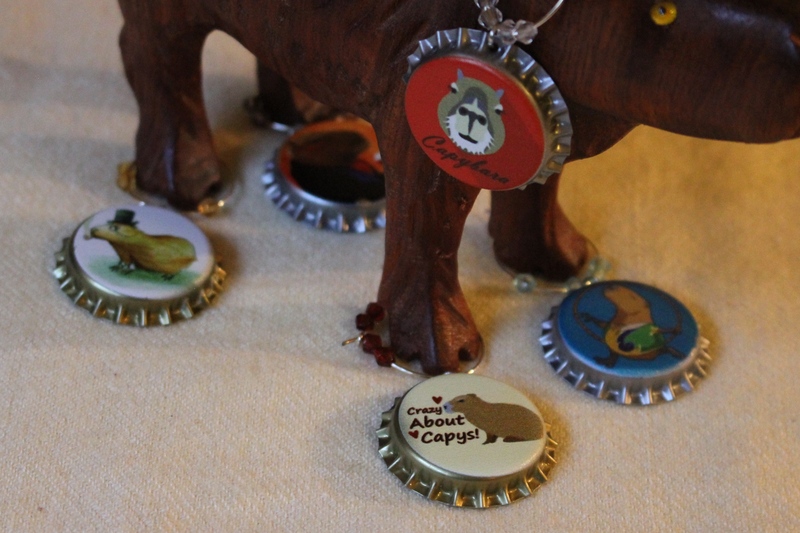 I can’t think of anywhere in the UK that would allow/cater for a capy. It’s hard enough to find ‘dog friendly’ hotels! Hope someone sees this though and proves me wrong.